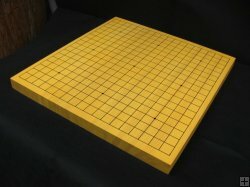 3 cm shinkaya (hemlock) go board. Size: 44 x 47 x 3 cm. Minimal order quanity: 1 carton (8 pieces).